Engaged employees are not just committed. They are not just passionate or proud. They have a line-of-sight on their own future and on the organization's mission, vision, and goals. They are "enthused" and "in gear," using their talents and discretionary effort to make a difference in their employer's quest for sustainable business success. 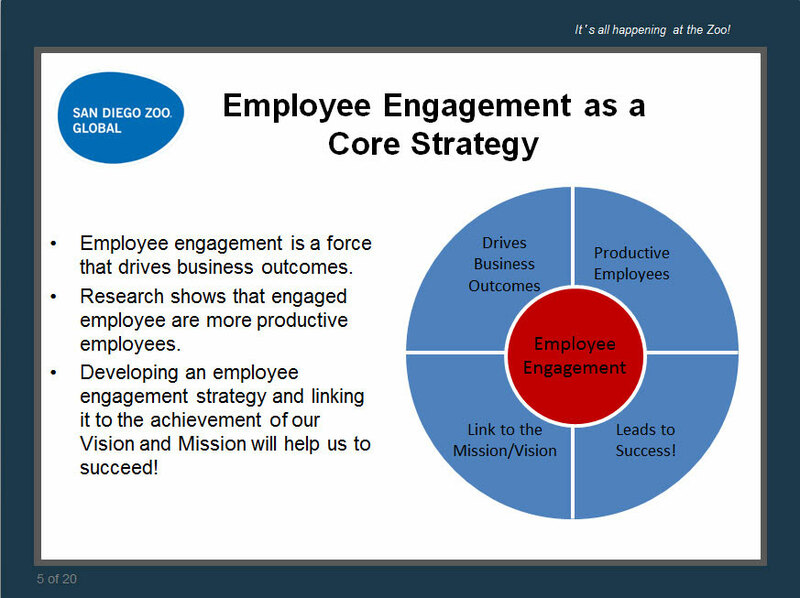 Join us for this ENGAGING webinar on how the World Famous San Diego Zoo proactively turned Employee Engagement into a top organization objective - with stunning results!